Sanity Claws Radio – Barrier to Entry Games! We talk about games with high barriers to entry with Special Guest Space Pope Casey in this episode of Sanity Claws Radio. Scotty, Karen, Jon, Badger, and special guest Space Pope Casey sit down to talk about those games that we just can’t play because of some high barrier to entry. We discuss games with high price tags, games with serious time commitments, games with toxic communities and more and why they just don’t work for us. Plus, Karen and Scotty find something magical Over the Garden Wall, Badger plays all of the board games, Space Pope Casey makes it at Maker’s Faire, and Jon listens to Her Story. And finally, we finish off the show with a feisty round of I Can Top That. Join in Won’t you? 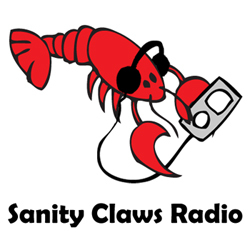 ← Sanity Claws Radio – World Building 2.0 with Minnesota Mike!